Installation of your new custom signage is easy when you work with the trained experts at Golden Gate Sign Company. Our sign installation company employs insured, experienced and certified sign technicians to handle your sign to its highest standard. Our dedication to finding and hiring the most trained personnel has made us the top signage company in San Francisco with a company fleet of five crane trucks with the capabilities of serving any sign installation requirement, no matter the size. With our large signage fleet of trucks, service vehicles and other specialty equipment, our trained sign installation personnel will work to deliver, install and maintain your business or facility signage. And our permit service helps identify and mitigate any potential issues that may otherwise cause delay – ensuring your sign is completed, delivered and installed as expected. Our emphasis on regular maintenance ensures your signage's longevity and attractiveness. Many of our customers have told us that our professional sign installers are more talented and capable than those of the other companies that they've worked with. We are proud to employ a highly skilled, experienced installation and maintenance team that meets to high expectations of our company and our clients. 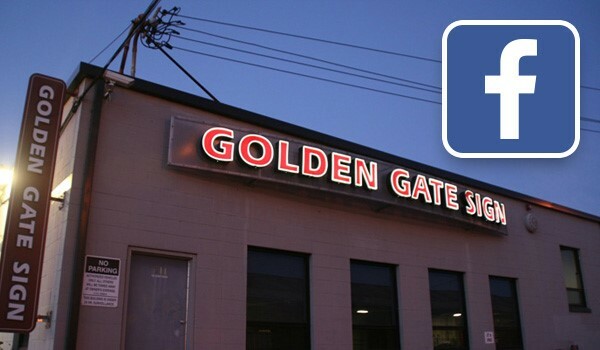 Work With Golden Gate Sign Company - Keep Your Company's Name In Lights! Ready to work with Golden Gate Sign Company? Contact our sign installation experts today to get started on the process to owning your own custom sign. Fill out our quick quote form to receive a FREE, no-obligation estimate or call with your requirements.